Back in the early 1970s, the US Navy needed a replacement for the old FRAM’d WWII era Sumner and Gearing leftovers from the 1940s and 50s in the fleet. These were small, 3500-4000 ton ships that carried an 8-cell ASROC launcher, 4 5-inch/58 guns in twin mounts, and two triple Mk32 ASW torpedo launchers. They were sitting ducks to anti-ship missiles, could not carry helicopters, and packed almost 400 sailors into a tin can made to all the best specs of 1942. The USS Orleck, shown here in 1964, a WWII veteran still going strong, by the 1970s needed to be replaced. Ironically, while all of the Spruances are gone, Orleck endures as a floating museum ship in Lake Charles, La. To replace these old boats, the Spruance class, a mighty 31 destroyers, were built between 1972-1983, all at Ingalls Shipbuilding in Pascagoula. As a kid, I used to sit at the old Point on Beach Boulevard and watch these sleek 563-foot long greyhounds birthed for Poseidon’s fox hunts. The USS Ingersoll, DD-990 was a good example of how the “Spru-cans” came out of Pascagoula in the 1980s. She is armed here with just her guns, torpedoes, ASROC and a Sea Sparrow launcher. Bring on the Red Banner Fleet! They were called the “Love Boats” back then, since they were the size of WWII light cruisers (8000-tons), yet only carried a pair of 5-inch guns (Mk45 rapid fire jobs that provided more firepower than twice as many of the old Sumner‘s 5-inch/58s), twin triple ASW tubes, and an 8-cell ASROC launcher. In their defense, most were funded by the bankrupt Carter military and their armament suite was superior to the destroyers they were supposed to replace. 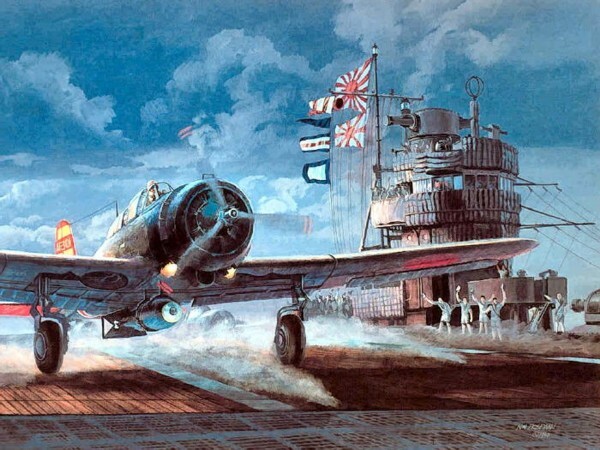 In addition, they had a twin helicopter hangar that could support a pair of sub-busting choppers, a battle implement WWII destroyers never dreamed of. Over the 1980s and 90s, they were increasingly armed with other weapons systems. Some 24 ships of the class swapped out their ASROC launcher for a 61-cell Mk41 VLS system like on the Ticonderoga class cruisers (which were based on the Spruance hull). All ships also gained an 8-pack of Harpoon SSMs, an 8-cell NATO Sea Sparrow SAM launcher (also capable of being used against surface ships), and a pair of 20mm CIWS R2D2 guns for swatting away incoming missiles. Ten more of these had a 21 cell RIM-116 Rolling Airframe Missile launcher mounted on the starboard fantail to further protect these ships from more modern anti-ship missiles. Several of those that weren’t converted to VLS were given quadruple ABL Mark 43 Tomahawk missile launchers like on the recommissioned Iowa class battleships. USS Deyo after her ASROC was removed and replaced with the 61-cell VLS. Also, note the Phalanx CIWS mounts port and starboard. They proved the backbone of fleet operations throughout the last decade of the Cold War, the sordid engagements in the Persian Gulf, and the Navy’s part in the war on drugs. Their long legs (6000+ nm at 20 knots on two turbines), allowed them to self-deploy away from the battle group and a lot of the flag-waving done in foreign ports during the Regan-Bush-Clinton years was done by Spruances operating alone. USS Cushing late in her career. Note the RAM missile launcher on her stern. Then, starting in 1998, these hardy destroyers that were at the top of their game, began to retire. When the Spruance‘s left the Navy, they took with them 1494 Mk41 VLS cells which carried mainly Tomahawk cruise missiles along with a smattering of ASROC sub-busters. They also faded away with 62 5-inch guns, 62 CIWS guns, 249 Harpoon anti-ship missile launch spots, 62 LAMPS helicopter hangar spots, 249 Sea Sparrow missile launcher cells, 210 RAM missile cells, and 186 Mk32 ASW Torpedo tubes. Those 7 hulls that were not equipped with VLS retained their ASROC launchers which gave the fleet another 56 of those weapons. In 1989, the US Navy had 63 Knox/Brooke/Garcia-class frigates, 51 OHP type guided missile frigates, 31 Spruances, 4 Kidd-Class DDGs (Mk-26/SM-2 armed Spurances) 27 Ticonderoga class CGs, 23 older Charles Adams-class DDGs, 10 Farragut-class DDGs, six nuclear CGNs, 19 Belknap/Truxtun/Leheay-class CGs, four huge Iowa-class Battleships, and the 15,000-ton cruiser Long Beach as large surface combatants. This is a total of 239 surface warships capable of blue water operations. Today they have in commission: 22 remaining Ticos, 12 OHPs (that are largely disarmed and rapidly retiring), 4 (unproven) LCS’s, and 62 Burke-class destroyers, the first of which was laid down on 16 September 1989. That’s an even 100-ships, or a reduction by about 58% from the late 1980s. Granted, the US Navy doesn’t have to go to war with the Soviets anymore ala-Red Storm Rising, but there is still a global need for surface combatants from the South China Sea to the HOA to the Med and the Persian Gulf. A hundred surface ships can’t be everywhere at once. All good things come to an end: last Spruance-class destroyer USS Hayler (DD-997) in a hard starboard turn during her Acceptance Trials, circa late February 1983. You can argue that the 96-cell VLS equipped DDG-51 class destroyers replaced the Spru-cans, DDGs and retired CGs on a 2:3 basis, but the DDG-51 lacked the extra 5-inch mount, and, in early models, the aircraft capability. Instead of being crammed full of TLAMs, these new DDGs have to allocate most of their space to carrying surface to air missiles. Further, the ’51s are tasked increasingly with fleet air defense and (now) with ABM missions. All the while their ASW, ASuW, and NGFS capability are being marginalized. Yes, the 51’s replaced the Spurances and the 1970s vintage CGNs of the South Carolina and Virginia-class in so much as AAW is concerned, but they did not fully replace their capability in ASW and NGFS. The Spruances, unlike the Burkes, was dedicated to ASW, ASuW, and land strike with both naval gunfire and cruise missiles. With the Burkes, its a side-job. Surely the Spurances would now be long in the teeth, ranging from the 1975-commissioned DD-963 to the 1983-dated DD-997, they would all be over thirty years old. However, the Ticonderoga-class cruisers are roughly the same age. In fact, they use the same hull and below-deck machinery. In 2003, the newer 22 of the 27 ships (CG-52 to CG-73) in that class were upgraded to keep them combat-relevant, giving the ships a service life of at least 35 years each. Had a similar mechanical upgrade been given to the 24-VLS equipped Spurances, they would all still be in service. In fact, given that timeline, DD-997 would only be expected to decommission in 2018. More on this ship below. Instead, all 31 Spruances were rapidly decommissioned and mothballed between 1998 and 2005, when the ships were all in their 20’s. Instead of being refirbed to serve another decade or two, they were stricken from the Navy List. No sooner were they stricken then they were systematically sunk in a series of fleet training exercises, dismantled, or otherwise scrapped. Like Megatron and Osama Bin Laden, most of the Spruances were sunk in deep water. 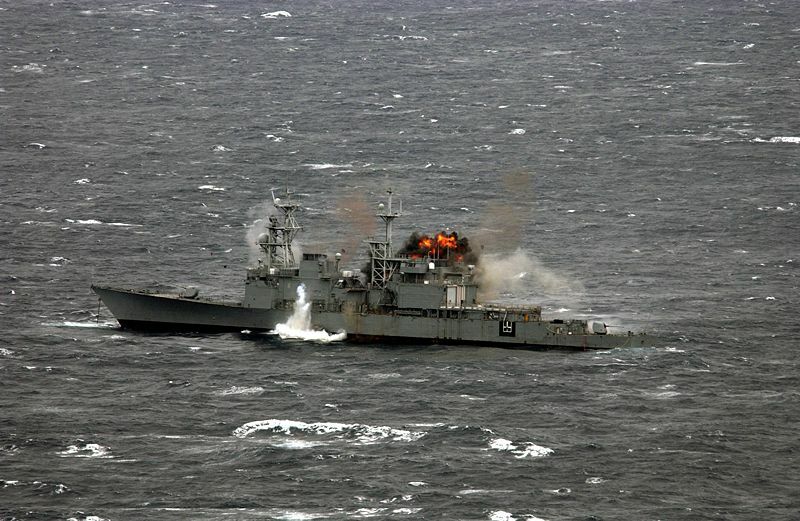 Here the USS Hayler, DD-997, commissioned in 1983, is being sunk as a target on 13 November 2004. Most 21-year old ships are still in service, with another 10-15 years left on their hulls. Her story is typical of her class. Not even her 127mm guns, standard issue on US Navy destroyers, were salvaged. It can be guessed that since they were too close in design to the still very active Tico class cruisers, they were too sensitive to give away as military aid to the likes of Pakistan, Mexico, or Colombia. Just one of their number, the former USS Paul Foster, remains. She has been in use since 2004 as an unnamed and non-commissioned test ship for the US Navy as the Self Defense Test Ship (SDTS). In this role, she is a remote control drone boat, used as a hard target for new weapons systems. And so goes another wasted opportunity. I served TAD aboard USS Deyo in 1981, when she was the first ship deployed on orders of NSA to spy on the Nicaraguans and Salvadorans. Great cruise. I was across the pier from you on the USS John Rodgers (DD-983). We tagged yall down off the coast of Gulf of Fonseca. I was on the John Rodgers. She was my last ship in a 20 year Naval career. They retired me and decommissioned her at the same time. She was the best riding ship I ever served on and is dearly missed. https://polldaddy.com/js/rating/rating.jsServed on the Deyo as EMO from about March 82 until retirement July 83. Picked her up in Panama City just as she was deploying for her NSA ops in Gulf of Fonseca for the NSA. She was the last and best ship of my 20 plus years. Great crew and wardroom not to shabby for bubble head CWO. I served on the Deyo from March 82 until my retirement in July 83 as the EMO. Picked her up in Panama and deployed for the NSA ops in the Gulf of Fonseca area doing our thing during the Salvadoran civil war. Was great ship and crew to serve with. My First Ship was DD-977 Briscoe. Great Ships. I also was on the Briscoe DD-977. It was a great ship. The 963 class were disposed of prematurely. Great summary ..thank you for bringing this to light. I was on the USS Comte De Grasse DD974 from 1980 to 1983. Probably 7 or 8 years ago I remembered hearing from a friend of mine who’s son was actually working on the scrapping project. My first thought was …Wow…now why wouldn’t they want to retrofit these great ships and get another 10 to 15 years of service out of them? — DD 974 will forever live in my heart …Sans Precedent ! https://polldaddy.com/js/rating/rating.jsMy Dad was on DD 974 during that time. His sentiments exactly. I was on DD-981 John Hancock from 91-95, a great class ship. Thanks for the article. It’s a shame they went away so soon. 1996 – Decommissioning of the Johnny Rod. Radioman. Hey shipmate I also broke my cherry on the jolly Rodgers from 1985-1989 as an HT than a D.C. left there as a DC2. 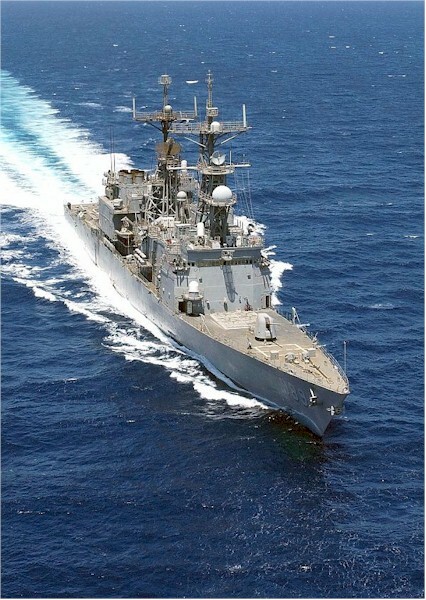 I served on the USS Peterson (DD 969) ’91 – ’95. I was on her when we went to Pascagoula for the retrofit from ASROC to VLS. 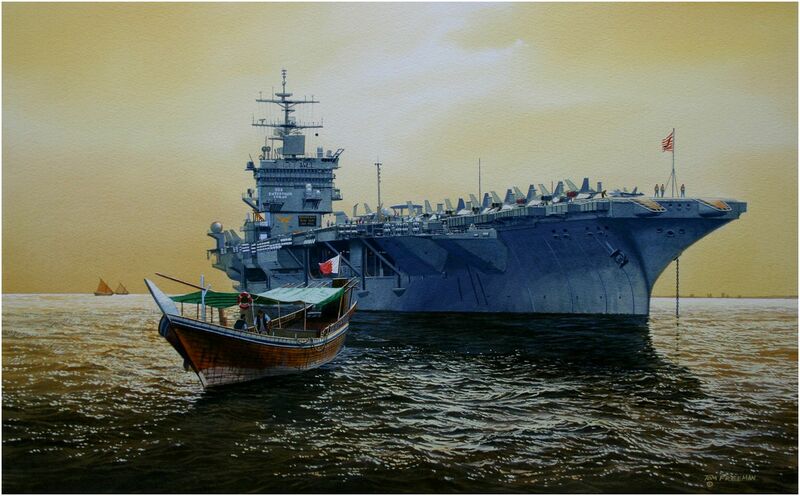 In ’93 we launched 14 Tomahawks on Baghdad and on two deployments with the Ike we were rarely with the carrier group. Constantly called away for solitary duties. A great ship, a great class of destroyers. I was mind-boggled when they so rapidly decommed those destroyers and then the CGs (I also served on USS Thomas S. Gates CG 51). It told me alot about how out-of-touch the brass and Congress were with the realities of the Navy and our world’s volatility. 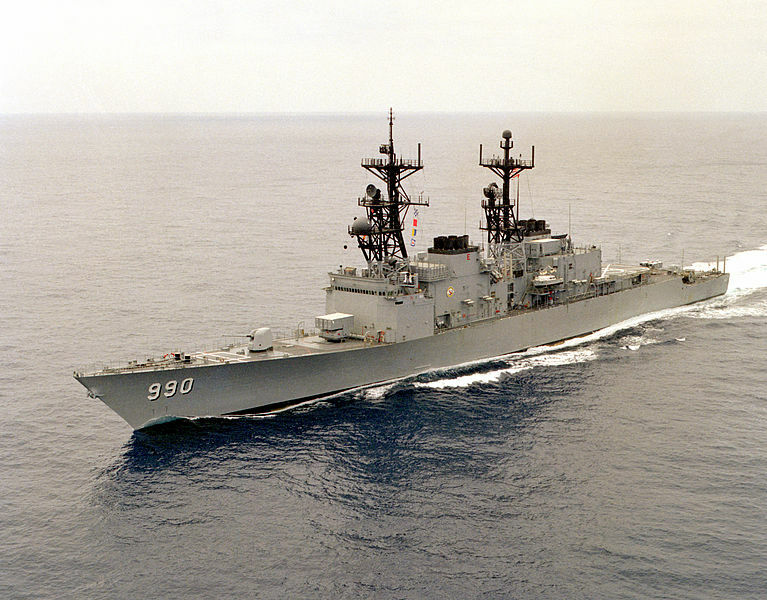 I too served on the USS Peterson (DD-969) from 1986 – 1990 as a DS2 SW. I boarded her for the first time 3 days before we bombed Libya. She was a great ship, and being one of two ships on the east coast that had major crypto surveillance, we were always underway. The Pete was my last ride 9/86-8/88. Commissioned Thorn DD 988 in 2/80. Both were fine ships. Thorn just had plankowner reunion in Nashville. Of course, you know what we say: the best ship is the one you just left or the one you’re going to!! I would do it all again on any ship!! Enjoyed reading. Steamed with a lot of the Spru cans. I was also on a Spru Can the USS Sperry DD697 it had 5″ /38 from what I can remember. Also a SPRUANCE plank owner. Remember the Pascagoula shipyard and all the pre-commissioning work we did. Mike Sullivan. She was a good ship! I served in NICHOLSON (DD 982) from 1998-2000 and DEYO (DD 989) from 2001-2003. Where to start? Well these ships were fun to drive and both of them shot a lot of Tomahawks when I was on them. And they were darned good looking ships…the last with real destroyer lines, if you ask me. The shame in the SPRUANCE class retirement is that the Navy did a poor job of maintaining and upgrading them. Obviously, keeping us in good shape would have meant spending money the Navy would have rather dumped on its pride and joy Aegis ships. The Board of Inspection and Survey (INSURV) was bound and determined to help Big Navy get rid of the SPRUCANs by failing them in their 5-year inspections (in 2002, aboard 989, we were the only SPRU in recent memory to–barely–pass an INSURV). Yes, of course, the SPRUANCE hulls are the same as the TICOs, thus showing their retirement was early. Sadly, while their chronological age would have suggested they had another decade of service remaining, most of the SPRUCANs I ever set foot on were begging to be retired (of my two, 982 more so than 989)…obsolescent and limping along from a materiel standpoint. It still pisses me off to think of it. 400 sailors on on a Sumner/Gearing? https://polldaddy.com/js/rating/rating.jsAccording to NAVSOURCE.ORG a Sumner rated a crew of 336, still a tight squeeze. When I served in USS Caron (DD 970) we carried about 300 to 320.
sorry to burst your bubbles but the burks are more than this writer thinks got to remember the type 1 and the type 2 alphas with helos and without helo hangers these ships are still more equipped with the latest in technology and with more fire power than the dd push come to shove in a ship to ship fire fight burks win every time sorry boys. I never said the DDG-51s are not capable, or that a Spruance class was comparable, the 51’s were laid down in 1989 and are a generation evolved. The crux of the argument in the post is that the Spruances were put to pasture too early when they clearly had another decade or more of life in them. One ship with nukes is more than enough. Everything else can be handled by the Coast Guard. The Flight III Arleigh Burke is more than a match for anything any other Navy can deploy…save the US Navy itself of course. DD964 USS Paul F Foster plank owner, EM2. She served us well and glad to see our old girl still afloat. We served her well, too. I was the commissioning Operations Officer in USS SPRUANCE (DD-963). While the SPRUANCE Class may have had many years of service life remaining in their hull and propulsion systems, it was their combat systems which spelled their doom. As more and more AEGIS-equipped vessels came online, the antiquated NTDS systems of the class were unable to “keep up”. One might say that the data processing and networking capabilities of the SPRUANCE class were like 9600 baud dial-up systems trying to keep up with broadband cable. It would have been prohibitively expensive to retrofit the SPRUANCE hull with AEGIS. Moreover, the class had an enormous RF reflectivity, making them huge targets. Note the “stealth” hull configurations of the DDG-51 Class. In the end, it is always money. It was cheaper and more effective to scrap the SPRUANCEs in favor of an entirely new class of vessels who could exchange and manage battle space data much more efficiently. Don’t get me wrong; I hated to see my old ship and all the other ships of the class go away. However, I recognized that necessity. The SPRUANCEs served long and with honor. They have passed the torch to a younger and more formidable group of ships. Sir, while I respect your overall conclusion that Spru-cans combat systems were their downfall, I disagree that they should have been scrapped at that point. You didn’t throw away your two year old tube TV because plasma TV came on the market. You waited for the price to come down and technology to mature some and got the HD LCD TV and then you still held onto the tube set for a while and put it in the guest room until a better deal came along and you got an even better primary set. Just seems wasteful. But then again how many times were we spending money like a drunken sailor in the PI on payday the last quarter of the year so that our budget didn’t get reduced next year. What you said was honest and well thought out. I love you for your service and dislike you (just a lill) honesty about a ship I’ve learned to love. You are truely a great man. “Be just and fear not” USS Hewitt DD-966. DC2 Chris C.
https://polldaddy.com/js/rating/rating.jsDid you know MAC Robert Gonzales Plankowner on Hewitt? He was my cousin and I was an ENC “M-Division” on the USS David R. Ray DD-971, Plankowner. Refitting with Aegis wouldn’t happen. But they could all have been upgraded to the standard of the three DDGs based on the Spruance class. That was do able and would have made sense. 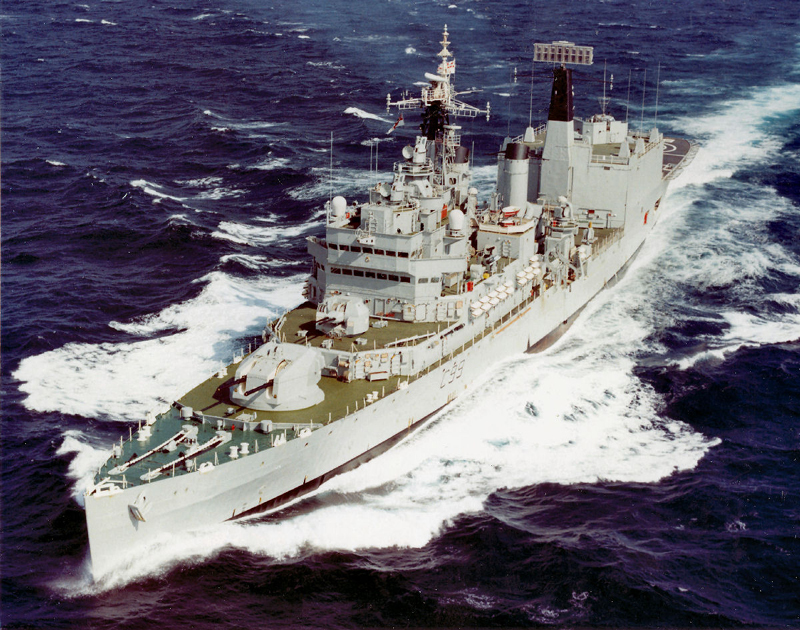 If it’s any conciliation the contemporary Perry class frigates were deficient in NTDS, only one target illumination radar, no five inch gun, and a substandard air search radar. A bit of a story first, Capt., then a thought about what you wrote. I was an EW on DD-971 (David R. Ray) for a couple of years early to mid ’80s. When I had heard of the sinking of the only SpruCan I had served on I was genuinely surprised. I felt my ship was too young. I was also angry. She was named after a Vietnam MOH winner and I remember his mother making visits to the ship. The first thing I thought, perhaps horribly, was that I hoped she wasn’t alive to have seen it. Then I discovered the whole 963 Class had been mothballed and were scheduled Davy Jones’ fleet. I understand your summary completely. My first thought about the justification was of the lack of stealth. The hull and superstructure were perfectly made to give just about any radar a nice, juicy return and changing that would probably cost as much as a new ship. But retrofitting with Aegis I wouldn’t think excessively cost prohibitive unless Lockheed and others wanted the good old arm and leg they like to charge. The majority of ships already had been upgraded to vertical launch, and as far as the rest of the electronics upgrades go – well, that’s the easiest and cheapest of the bunch. Her weapons outfitting wasn’t really all that bad – even pointing to the DDG-51 Class the Spruance was a worthy foe. She also had lots of room for weapons upgrading for years to come. Maybe I’m too nostalgic, but I strongly feel the Navy wasted a perfectly good hull when it dumped the SpruCan. I bet that today, in 2018, there are a lot of Admirals walking around wishing they had some of those still above water. Nice article mate! Very sad to see this great class go…and I was not even on any them. I think, for the most bang for the buck, they were GREAT…and specialized sub hunters like you mentioned. Oh, what now…the Russians are reviving there sub fleet, too bad…no Spruance-class destroyers are left to hunt them down. I honor this class on my facebook page. I was on Rigel (T-AF-58) and Neosho (T-AO-143) in the 80’s out of Norfolk, VA.
Is it just me? Whenever I play the song: Jazzman by Carol King…I think of the Spruance Class destroyers. I was on the Stump DD-978 from 81-85. Great ship. My first duty station was the O’Bannon DD-987 2003 – DECOM. I’ll be going to her last XO’s funeral this Thursday in Arlington. He most recently was the CO of the Phil Sea before being killed in an on base house fire last fall. My first ship was USS David R Ray DD-971 August 1979-July 1984 made three WestPac cruises. Qualified Engineering Officer of the Watch (EOOW) as a First Class Petty Officer. Second ship was USS John Hancock DD-981 October 1987- November 1991 Made one MEF cruise and a North Atlantic cruise, Served as Senior Enlisted Engineering Programs Manager. Next duty station was Fleet Training Group Guantanamo Bay, Cuba from November 1991-June 1995 as a shipboard instructor on Perry class Frigates, Spruance class Destroyers, and Ticonderoga class Cruisers. Many good memories. Long time no see James. I hope all is well. My first and third ship was the USS John Hancock. June 1979-Aug 1983 and October 1989-October 1991. Chief: I do believe we were on sister ships; Served on the “Nick” DD-982 from precom ‘78 till I left in’82 as GSE1. Isn’t it odd,(or not), that each of us was on the best “Spru can”. Funny thing we’re all correct, and all saddened at the premature end of every damn one of them,regardless of the reason for it. Thanks for your service! I served onboard USS R.W.RADFORD DD968 FROM 95-98. I am a plankowner on the USS VICKSBURG. CG69 Loved every minute of it sad to hear they are being scrapped. Served on the Ready Radford ’86-89. Was onboard when they put the VLS on in NOLA (Avondale). Much later, I watched video of them sinking her for a NJ reef. It was… surreal. Some of the best times of my life were spent during my time assigned there. Did you know Ray Harner, a DS from Pennsylvania? 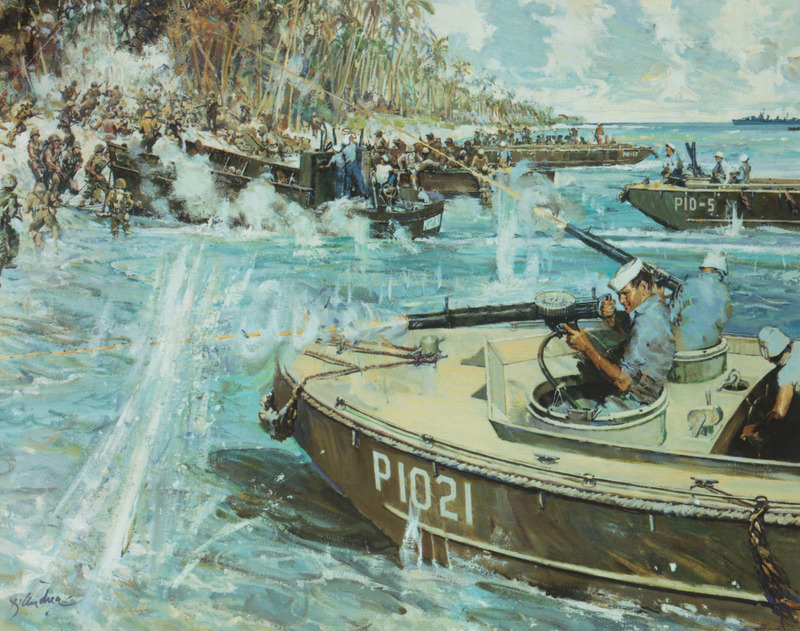 I was Pre-com Connolly DD-979 and then regular ships company, 78-81. A fine ship gone far too soon. As another Conolly plankowner, I fully agree with Tim and was dismayed to learn of the ship’s mothballing in 1998 after barely 20 years in commission, and eventual demise as a test target. This class represented one of the Navy’s early efforts to improve quality of life afloat for enlisted sailors (Time Magazine interviewed men on the Peterson), and also be more environmentally responsible (the Jared vacuum-suction sewage incineration system). Only once in three years did we ever experience “water hours” when our evaporators failed. One thing that did fascinate me is the level of vertical integration practiced by Litton Industries in the outfitting of the ship: Numerous other subsidiaries participated along with Ingalls: There were Clifton Precision SPA-25 radar scopes in CIC, Amecom communication gear in the radio room, Frigitemp chillers in the galley, and Royal typewriters (along with Monroe calculators) in the office. Had I not been forced to rotate, I would gladly have spent another year or two on 979! I too served on the Connolly DD-979, 85-90. One of the finest ships I served on. She did not get the VLS upgrade and we knew her days were numbered. Such a waste. I was part of the commissioning crew USS Ingersoll DD-990. What a great tour of duty. But what hurt was the De commissioning before I retired from the navy. Who would think. Somehow the helicopters were on Sumner and Gearings’. How about DASH. Drone anti submarine helicopters Unmanned helicopters capable of carrying nuclear depth charges. FRAM’s carried on for many years after in foreign navies. 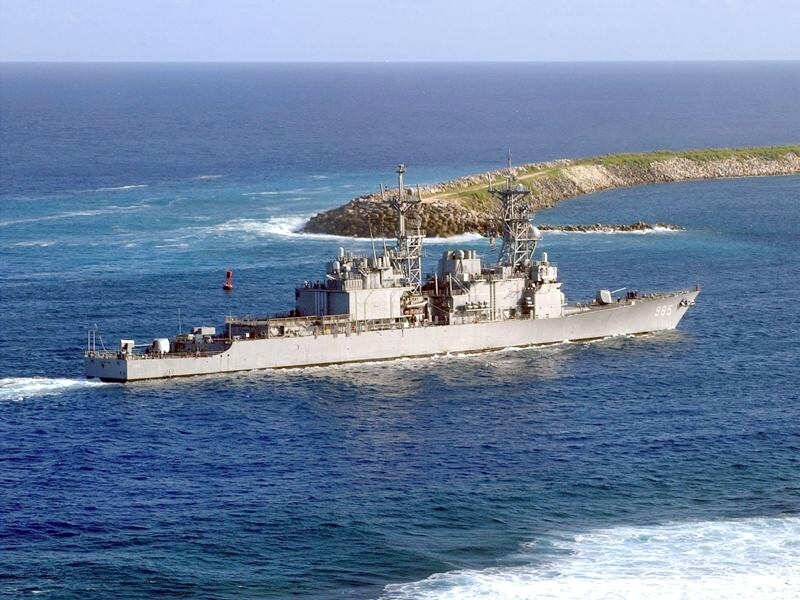 One is the USS Steniker in Mexico today. A small correction on the main article. 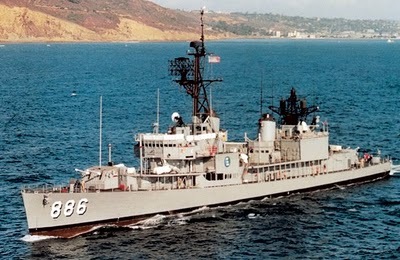 I served on the DD718, USS Hamner. We were a Gearing Class Fram II with the ASROC setup. I was a Torpedoman’s Mate. Our “Can” was classified as 2250 tons, not the 3000 to 4000 tons as specified in the article. We sailed with many Fletcher class “cans” that were only 2100 tons. Other than those small errors, I found the article to be very noteworthy and interesting. Yet another Conolly DD 979 plankowner here. Good article about a great class of DDs. I agree that they were decommissioned way too early. I believe it was because of the so-called peace dividend after the Cold War. The career politicians let us down again, surprise surprise. I too precommed and was a plank owner of DD-990 USS Ingersoll. Commissioned her as an ETC, Departed a year later as an LDO Ensign. Three years later served as EMO aboard DD-984 USS Leftwich. Two of my 3 favorite ships, the first being a 2250 Fram can USS Higbee DD-806! The only thing better than riding a Spruance Can was driving a Spruance CAN! I served on the USS Moosbrugger DD-980 from May, 1984 to Nov, 1986. Went through a yard period overhaul and upgrade in Pascagoula, MS. They installed the CIWS, the helo recovery tracking system, ungraded the radars and expanded the helo hangar for extra sonar buoy storage. Went through GITMO reftra, Oct, 1985 and then on to the med cruise 1986. I “borrowed” the “Moose” as we called her for my last reenlistment ceremony, august, 1999. Whenever we got underway, we would announce, “The Moose is Loose!” he had a set of moose antlers on the fwd superstructure, on the mess decks, the ward room and the chief’s mess. She was considered “Head and antlers above the rest”. I have many pictures of her from over the years, some were taken by me and many others that were taken during the years after I moved on and later retired from the Navy. I have the last picture taken in 2006, over 5 years after she was decommissioned, in the starting process of being scrapped in Texas. I too served on the “moose” from August 1980-July 1984, we must have crossed paths for a couple months, I was released in Newport, RI in ’84. I can see mothballing the Spruances during the War on Terror years- but the weird part was how they were all sunk within a few years. Surely keeping some in mothballs would have been decent insurance – but no one was worried about Russia or China back in 2003 or so. I laugh when I see that the Navy saved 28 million a year on operations! Divide that into a billion for a new Burke. I think they were sunk so that the Navy wouldn’t have to slow down Burke production or Zumwalt development. Old ships simply don’t have as many fans as new ones, and their billion dollar contracts, divided among 20 states or so. In ’89, the U.S. only had 12-15 Ticos up and running (Chancellorsville was commissioned 11/4/89) and they still had 5 years left. The FRAMs had 5/38s, but that could just be a typo. The Ticos were early decommed too–and Valley Forge sunk as a target. Also, the irony is that the first four Ticos themselves were originally drawn up as DDGs! (Hence the gap between DDG 47-50 after Preble (DDG-46)). I was on Her from 91 until 93 as a CTM1 up in outboard on 03 level you never made it that high I am sure nose bleeds and all…. Yn3 Morris here mar 90- Sep 92. Spent most my days as engineering logroom yeoman. I was an OS/ship rescue swimmer 80-83 on DD-973 USS John Young. One of the first non-plank owners to board the ship, talking about feeling like an outsider. Nice article on the ships, they were built for speed. We had HT’s constantly chasing cracks in our starboard side helo hanger. They drove the ship hard a lot, tore the fantail hand rail and trash chute several times. Thanks to the internet and facebook have been able to reconnect with several of my old shipmates. Look up operation Operation Nimble Archer for some good spurance class reading. Slowly but surely since the 80’s the Department of Defense has for some ungodly reason stuck it’s head in the sand. They need to be renamed the Department of Disinterested. Congress, present & past administrations in order to support government payraises, pork projects, massive welfare projects and foreign aid have cut military new hardware/ modernization projects needed to provide the physical defense of this nation and to meet our comittment’s to our allies. Today we face challenges on all fronts with neither the manpower nor the equipment to support sustained operations in a multiple theater scenario. Sad, Dangerous, and down right STUBID! We’re in dire need of an administration, Congress, and Military Leadership that willing to make the right arguments to them both for WHY we need their unequivocal SUPPORT ! I was on-board USS Elliot(DD 967) AS A CTM1 From 1990 until 1993 always a tin-can sailor SPRU-CAN all the way got rid of them way too soon. loved that ship. Thank you for posting this. I served on three Spruance destroyers (USS Harry W Will DD-986, USS Cushing DD-985, and USS Fletcher DD-992) out of San Diego from 1987-1992. They were great ships and it broke my heart to see them be tossed aside like they were. I served on the Fletcher Dd-992 from 1993-1996. My husband, MAC Frank Pierce was also a plankowner on Cushing. He retired off of her in June 1981. We attended a reunion in S.Diego a couple of years ago. When I saw the video of her sinking, water just started coming out of my eyes. Frank does keep in touch with a couple of guys that he worked closely with. It is sad that these fine ships were scrapped or sunk with just 20 or so years of service. 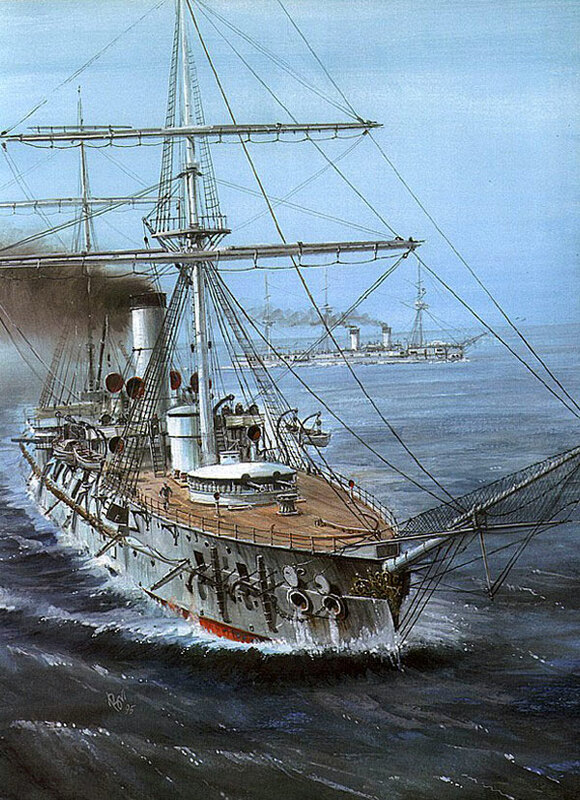 Served on three of these hulls DD, DDG, and CG….Fletcher, Callaghan, and Thomas S Gates and enjoyed each one. The big secret to this whole thing is that it was cheaper to up grade then build a new ship. But in order to build all those new Burks you have to get rid of the cheap fix. There are designs out that show the sprucans with an aegis up- grade. This would have given those ships another 20 years of life. I was on Board the Fletcher 1993-1996 when I got out from active duty. i worked as an electrician at ingalls on the first few of these. later i served as DCA on uss fife (dd-991). these were good ships, sorry they are now history. Do I understand correctly that they essentially turned these DDs into DDGs, but without renaming them? BTW, I was on one of those Charles Adams class DDGs, the Goldsborough (DDG-20). I just read your article this morning and I found it quite enjoyable. I served as an ET onboard the USS Comte De Grasse DD974 from 1983-1986 . I did however find one mistake that you made. You listing of the weapon and radar systems would lead one to believe that all the “Spruance class” destroyers had an AN/SPS-49 air search radar when in fact only one, the USS Hayler had this type of radar. All the Spru-cans built prior to the Hayler were equipped with a AN/SPS-40B air search radar that was upgraded in the late 80s to a AN/SPS-40F ( totally solid-state) air search radar. The 15KV power supplies were made by Espey Manufacturing in Saratoga Springs, NY. When ours blew, I remember the tedious process of flipping this very heavy unit between two dollies in the radar room vestibule to get it out onto the main passageway, then wheeling it through the hangar and out to the flight deck, where a pier-based crane took it away while my chief (ETC Ronald Pyle) looked on. The 40B rotor had a two-speed motor, slow for long-range mode (LRM) and faster for Low Flyer Detection Mode (LFDM). Switching on-the-fly from slow to fast was no problem, but we needed to warn our OS’s about the damage risk of going from fast to slow without first doing a total stop, where braking would be properly applied. I don’t know anything about the Hayler’s SPS-49, but the Kidd class (4 ships originally ordered by the Shah’s Iran) were equipped with the more capable SPS-48 series used by our older CG’s and CGN’s. The 48, which featured a flat rectangular antenna, was made by ITT Gilfillan. DD-974 Plankowner. We should have given them to our allies in the Pacific. I served nn the UssComte De Grasse DD 974 from 1984 to 1987 great ship just found out her fate saddens me to hear that she rest on the bottom of the ocean miss her and my ship mate God bless Them all. Never served aboard any of these ships or in the Navy, but I always admired these ships. Lived in Bremerton for many years and watched a set of 3-4 of them (I remember one was David R Ray) moored in the bay off of PSNS for years, just rotting away. It seemed disrespectful to me at the time. Now it just seems stupid how these ships were allowed to fall to pieces prematurely by bureaucratic penny pinching. 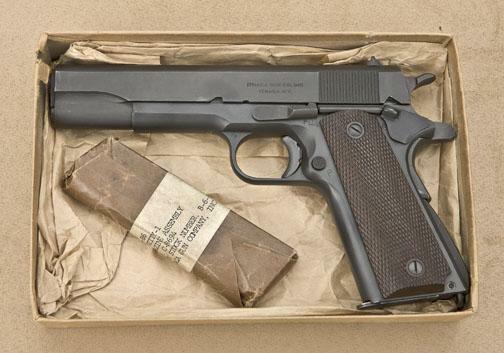 First paragraph….Five inch/thirty eight caliber gun….there is no such critter as a five inch/fifty eight…that would wind up with a barrel three hundred inches long or so…. Words fail me. I am so disheartened and can only shake my head. I loved bothe Sprucans I was on. What a platform. What a waste to systematically rid the Navy of so many great ships. Plankowner USS Spruance DD-963 First an Best. OHP sailor here, but the Spru-cans were great ships. I do believe that generation of ships will prove to be the best all around ship designs any NAVY has floated, so far. True, the newer Burks have the firepower and technology, but those old hulls (both the Spruences/Ticos, and the OHP) could take a pounding. Even the Sink-ex ships took a pounding before going down. I served on USS Oldendorf DD 972. When I seen them sink her a part of me went too. Served aboard the OLY 1990-1995. Chief Electrician EMC(SW). A great ship and really hated to see her sunk. USS Comte de Grasse (DD-974), 1987-1991 it never quit, we were asea forever. In some warped way…I miss those daze. I was also a DD988 USS Thorn Plankowner and I agree with your analogy on giving up on the Spruance class. They were a fast, maneuverable ship. Yes the Hull and superstructure was very thin but, you had to sacrifice something for speed and maneuverability. On our maiden cruise – We made it to the mouth of the Med in 5 days – faster than I ever sailed across the pond before or since! The original contract was for 26 ships and to deplete the Navy of those ships – as quick as they did was a move to deplete the Navy. Weather the decision makers meant that or not – It did affect the Navy force composition. Now they cancel the Line of Zumwalt Class bringing the Price up to 2.2 Billion per ship and only 2 in the Planning. You wonder what our planners are thinking?? think they have retro fitted them with updated electronics and weapons. 3 years USS John Rodgers DD983..I have always thought she was decommissioned way too young and it hurt my heart to see the pictures of her in Brownsville. . I served on the USS F B Parks DD-884(Gearing class destroyer). It went through a number of changes while I served(70-72) including but not limited to a helo deck. and a missile launcher on the fantail. While in Vietnam I saw several Marine helo pilots park their helos on the fantail. Personally I think to many people are in a hurry to use these fine ladies for target practice. USS O’Bannon DD987 85-88, her sinkex is on youtube and the only thing I can say when I watched it was, those doing the sinking would be crapping themselves if I was still on board her shooting back, sad to see the young lady go down without a fight, and yes she could fight hard. I was a Plank Owner on the USS Comte De GRasse and served from 1978 To 1980. She was a fine ship and it broke my heart to hear that she was used as target practice and sunk. I have fond memories of Pascagoula Ms. and the commissioning of her. I was the first PC on her. Served as part of Airdale crew aboard the USS O’Brien DD975 and USS Ingersol DD990 ……. Great Ships to go to Sea on. I was a plank owner on the DD986 – USS Harry W. Hill. I was her first Navigator and XN Department Head. The ship’s crew was top-notch, but I was quite disillusioned about the quality of shipyard workmanship in building the Hill. We had several fires onboard due to shipyard trash being stored in electrical junction boxes. 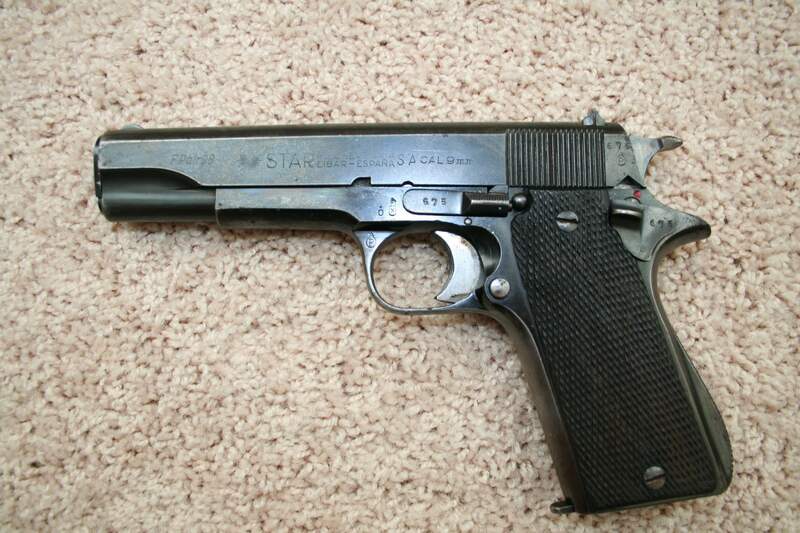 We also had a major gunfire casualty due to a coke can being disposed inside of our fire control computer. I generally regarded the Ingalls Shipyard as a bunch of rednecks with welding rods. All of our navigation gear (NavSat, Omega) broke within days of leaving the shipyard and we had to navigate from Mississippi to San Diego using stars and sextant. We nearly ran onto a reef in the Caribbean when the Omega system skipped lanes and gave us false navigation plots. While I really liked the ship and it’s crew…the ship itself was a piece of crap! I spent nearly 2 years of my 6 in the Navy on USS Oldendorf DD972. I too thought that they were decommed WAY too early. The only big drawback that I can think of is that the superstructure was aluminum. I remember when I first got there she was going through an availability. One of the repairs that was being done was welding up a large crack that had formed between the masts on the O3 level. The Ticos and the Burkes have steel superstructures. I served onboard the US John Young DD973 from 92-96. Loved every minute of it. Best years of my life were on a Sprucan. https://polldaddy.com/js/rating/rating.jsI am a plankowner on USS HAYLER DD997 in 83. I also sailed in AW Radford DD968 89-94. I retired in 1995. I was shocked that the Navy saw fit to get rid of all of these capable ships! A waste of fineships! I was a plank owner of USS Arthur W. Radford DD-968….She was a great ship…first ship to fire a Harpoon missile in the Mediterranian Sea…Had a great mentor on board…FTG1 Joe Puls (eventually MCPO)…left the Radford as Fox division LPO….Loved that ship and all my shipmates…Saw her stripped down before sinking…what a host of memories!!!!…. The four KIDD class of upgraded Spruance destroyers were neither scrapped nor sunk. They are presently serving honorably and proudly in the Taiwan Navy. https://polldaddy.com/js/rating/rating.jsI worked on these boats in 1975, I find it hard to believe that they were decommissioned already!! What a waste!!! Question: How come in the ’70s and ’80s it shows the US Navy ships with white railings? But later on the railings (or whatever the term is) are gray like the rest of the ship? How come it shows the Orleck with white railings? Were all Navy ships of the ’70s and ’80s like that? Was that a new color scheme? (Later on ships had gray railings in the ’90s). I know the Ticos early on had the same issue with white railings. USS JOHN YOUNG “The Meet” March 2019 Jacksonville. I served on the USS Kinkaid DD-965 during “CrashPac 89-90” as ET3/ET2. Even with all the trials and tribulations the “KinkyD” went through, I was surprised when I learned of its destruction. I served aboard USS Cushing (DD-985) from 1990 to 1993, and she was one of the best in the fleet. That’s not just bragging, either, check her fleet combat readiness records, they’ll tell you everything you need to know.